GOKPOP | Exclusive K-News in Malaysia & Singapore: The Week Full of Joy with the Appearance of K-Pop Idols, Korean Actors, DJs & Models in KL! The Week Full of Joy with the Appearance of K-Pop Idols, Korean Actors, DJs & Models in KL! 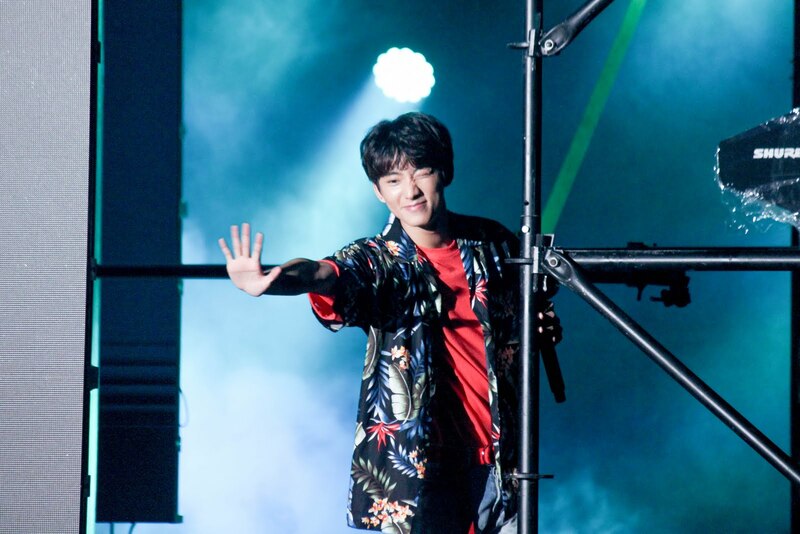 Unforgettable week indulged in the great K-performances and Korean celebrities' appearance in Malaysia. We bet you're still in the celebration yet exciting mode, so let us throw back some highlights of this week event happen in KL: K-Wave Music Festival 2017, Puma Night Run 2017, The Battleship Island Malaysia Star Tour and YG Republique KL Grand Opening. 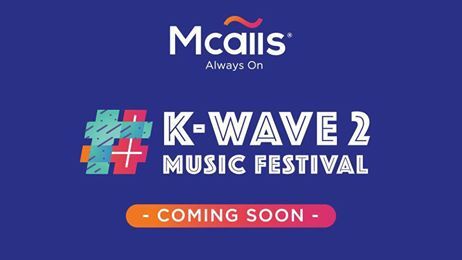 The week of August kicked off with an impressive lineup of K-Pop Idols' performances in K-Wave Music Festival 2017 which held at Sunway Lagoon Surf Beach on 5 August. 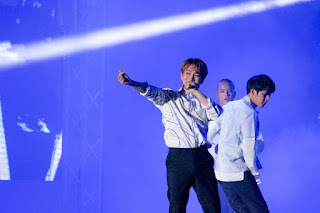 Featuring 6 K-Pop idols groups - HIGHLIGHT, Apink, B1A4, BTOB, Teen Top and Victon, Malaysian fans went wild screaming and chanting for their favourite idol groups in showing support. Each idol groups showed off their dynamic dance performance and delighted each fans at the venue. 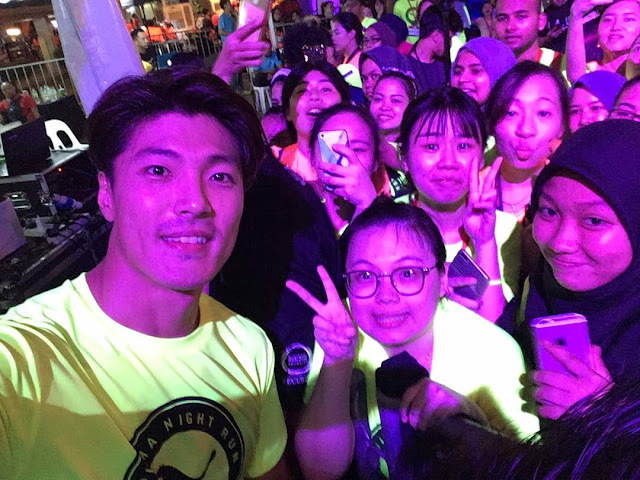 On the same day of 5 August, actor Lee Jae Yoon joined the annual Puma Night Run 2017 at Cyberjaya, Putrajaya. Lucky fans even bumped into him and had a fun night running together with the actor. Up next was the star-studded The Battleship Island Malaysia Star Tour features the appearance of the cast - Hwang Jung Min, So Ji Sub, Song Joong Ki and also the director Ryoo Seung Wan. 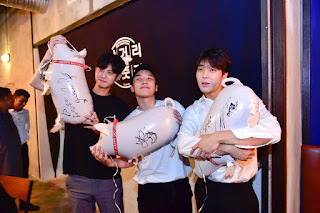 The cast and director came to promote the movie, The Battleship Island which has been receiving rave reviews ahead of its release in Korea and gained immense interest overseas including Malaysia. 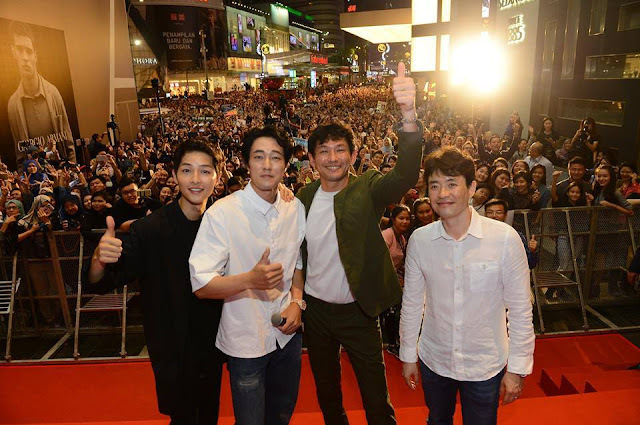 More than 6,000 fans swarmed to the main entrance of Pavilion on 9 August just to grab a great spot to see Hwang Jung Min, So Ji Sub and Song Joong Ki up close! Although it was a short appearance but the fans were more than satisfied to see them real close. Right after the Mall Appearance, the actors and director went to the Gala Premiere and greeted the invited guests once again. The next day, they attended the press conference and answered various questions about the movie. The Battleship Island will premiere in cinemas starting from 17 August, do check out the historical movie that talks about roughly 400 Korean people who attempt to escape from the forceful coal mining at the Battleship Island during the Japanese colonial era. Lastly was the most recent event happened last Friday (11 August), YG Republique KL Grand Opening which welcomed the impressive special guests: BIGBANG's Seungri, Jung Joon Young, FT Island’s Jonghoon as well as DJs Danu, Glory and TPA, and YG KPlus models Yeon Hui and Soh Hee. 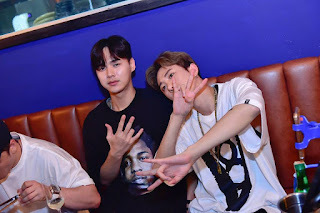 All the special guests had dinner at the restaurant then head to Zouk right after. YG stans have now a new hangout spot as YG Republique KL is now open to public for dine-in. *Do note this is a non-halal restaurant. Currently, we are still in the post-syndrome mode after seeing most of our favourite celebrities within a week. Let's rewind this wonderful week before starting the Monday blues.